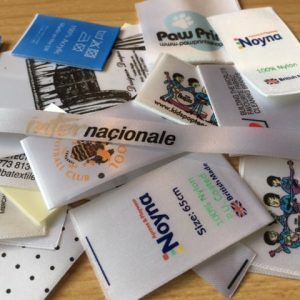 Perfect Labels-Lanyards can create completely customised printed labels for any piece of clothing. Our printed labels can be customized to include text and company logos or designs and are available in a number of materials, including: satin, velvet, cotton, canvas and nylon. Like all of our label services, we work with you to create the perfect custom design to fit onto your printed clothing label. This results in a great looking label that you’re happy with and compliments your clothing range, making them stick out from the crowd. Don’t hesitate! We’re set up and ready to start delivering a quality printed clothing label for you. Our prices are competitive and we provide a quick and efficient service. For a competitive quote, Contact Us on 0116 318 3231 today!